After visiting all the so called tourist spots of Stockholm one day I decided to go start viewing the Drottingham Palace and Skogskyrkogården. It is strange that in spite of being enlisted in UNESCO World heritage list, these two places are not so much popular. 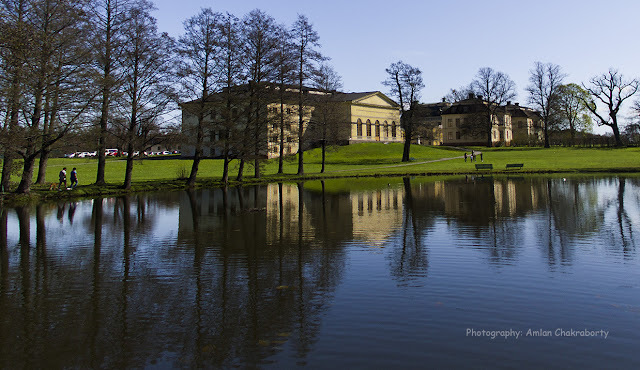 Drottingholm Palace is however a spot included in the “Hop On-Hop Off” boat tour. In fact Skogskyrkogården was not known by many of the local people. Today I would like to say about these two places. I visited them in same day and it is my suggestion to all of my friends that they can be covered in a single day but both the places should be visited in early afternoon to get better light for photography. The palace is located at Lovön island in Lake Mälar in a suburb of Stockholm and can be reached by metro rail and Bus from any location of Stockholm. Tourist can also visit the palace by “Hop On-Hop Off” boats. The meaning of Drottingholm is “Queen’s islet”. The palace was built in 17th Century and became the summer residency of the Swedish Royal Family. Now a days the palace is mostly occupied by the tourists. Drottingholm Palace is built on a big garden and there are three major segments in the area – The palace, Palace Theatre and Chinese pavilion. The palace reflects the combination of 17th Century Italian and French architectures and also echoes the power of Sweden in Europe. Palace Theatre is still running and Summer Opera Festival is still a great event in Sweden. In this festival, the Royal Swedish Opera company performs. The Chinese Pavilion is an interesting part in the entire area. It might be due to the influence of Chinese design and architecture that attracted the royal family. But it is a strong evidence of the business link between Sweden and Chinese on 17th Century through Sea way. Brommaplan is the nearest metro station and can be reached by Green Line(T17, T19). From Brommaplan, busses are available. Also the tourist can go there by Hop On-Hop Off boat. “Wow” was the first word that came out from my mouth. It just crossed the entrance gate and got completely astonished by seeing the fresh grass of early spring days that looks like a green carpet on the field. 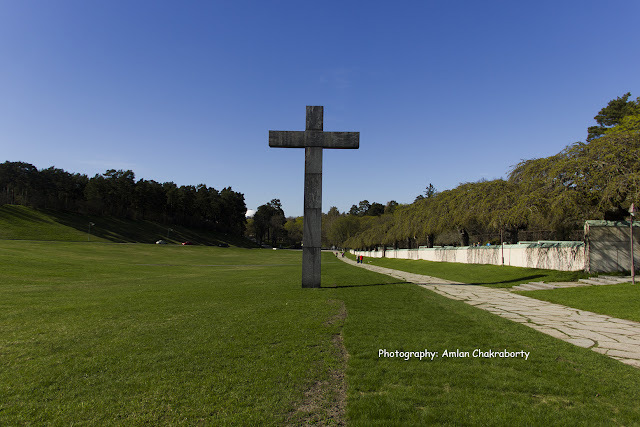 The twentieth century cemetery contains a cultural influence of many countries in the world. Two young architects, Asplund and Lewerentz created the cemetery between 1917 and 1920. Skogskyrkogården is an example of modern concept of architecture wholly integrated into environment and thus inscribed in UNESCO World Heritage List. The cemetery contains the graves of many notable persons in eastern and northern Europe. Leaving apart the architectural beauty, it is a great experience to have a wonderful afternoon in the greenery. Specially in the summer, it is really enjoyable to have a walk inside the entire cemetery.